[General description] 'Lady Daly' paddlesteamer at the Port Adelaide wharf. Passengers and crew line the decks and flags fly from the vessel's masts. City buildings can be seen in the background. 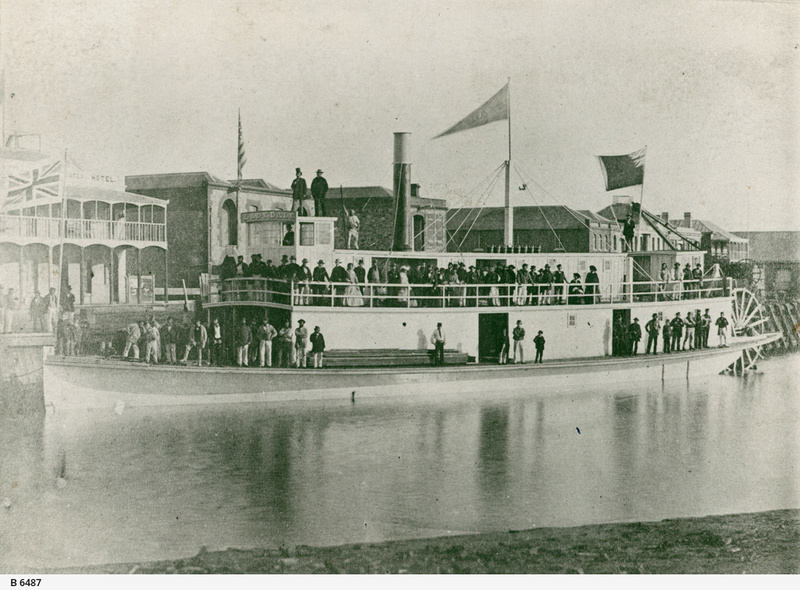 A sternwheeler, she was built by Jackson and Murray circa 1861 and served successfully until 1878 when she was converted into a log barge. [On back of photograph] "Lady Daly' / name on top of wheelhouse / 1860-1865 ; Building on left is Wharf Hotel, licensee W.J. Gates 1860, 1861-1865'.